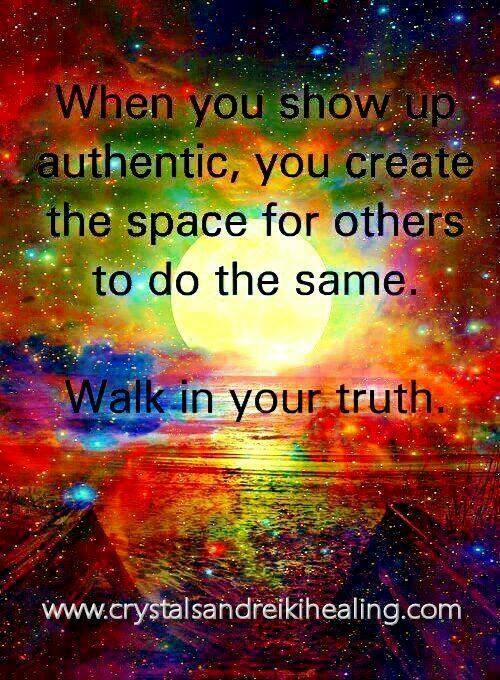 When you show up authentic, you create the space for others to do the same. Being truthful is the most important thing in a growing relationship. When you lie and make up a bunch of things it ruins your authenticity so that no one knows if they can ever believe you or trust you again. And others can do the same.